The paucity of source material utilized by General Fuller is more than offset by the lucidity of his commentary, and his keen insight into the military mind and psyche. 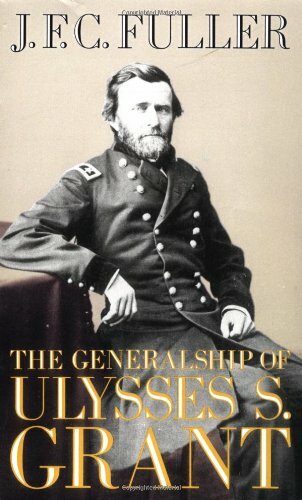 Grant, the man, appears to have been a hobby of Fuller's, and while there are better analyses of the details of Grant's campaigns and battles, the reader leaves this book with a sense of knowing and understanding Grant, and believing that Grant's personality was the critical factor in the Union's 1864-1865 Virginia compaigns. The assessment of U.S. Grant is Fuller's personal assessment, nevertheless, when this reader finished the book he hoped Fuller was right. Essential Civil War reading. There's also some interesting commentary on the theory of military strategy and tactics.